After several environmental studies and careful review by multiple agencies, the Marine Renewable Energy Collaborative (MRECo) has received final approval from the US Army Corps of Engineers to install the Bourne Tidal Test Site within the Cape Cod Canal. The test stand will be installed in a sheltered spot where access is exclusively via the Army Corps of Engineers’ facility (where fishing from shore is not permitted) and where it is far out of the navigational channel. 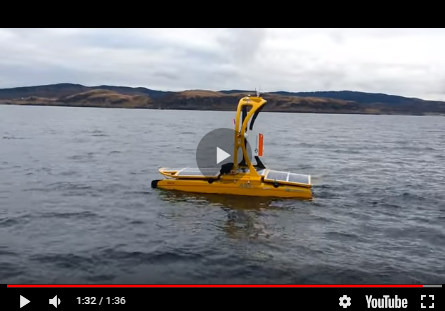 Water velocity has been measured at over 2 metres/second (4 knots) on the maximum tidal cycle in both directions, enough to turn different types of tidal turbines to test their efficiency, power output, robustness and more. Turbines of up to 3 metres can be tested with vertical lift provided for easy access. MRECo expects to install the platform in November and is accepting proposals for testing in the spring of 2018. Organizations, individuals, companies, and research institutions that would be interested in using the site for testing their own tidal energy devices and/or marine and remote sensors should contact John Miller at: director@mreconewengland.org; phone +1 508.728.5825.